Begräbnis (German for Funeral) are a three-piece ambient/industrial-influenced Funeral Doom band from Sendai. 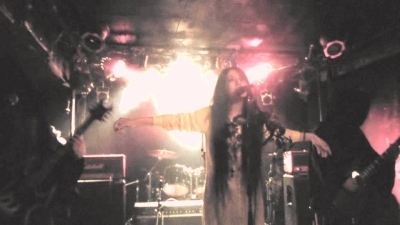 Quirky in the extreme, they write all their material in German, are fronted by a female vocalist with a cavernous death-growl, and would rather have a theremin player than a drummer. Despite that, the music is seriously slow-paced, brutal and unrelievedly dark.